The senior high school students of IGFI’s K-12 Program completed their immersion activity on February 5, 2018. 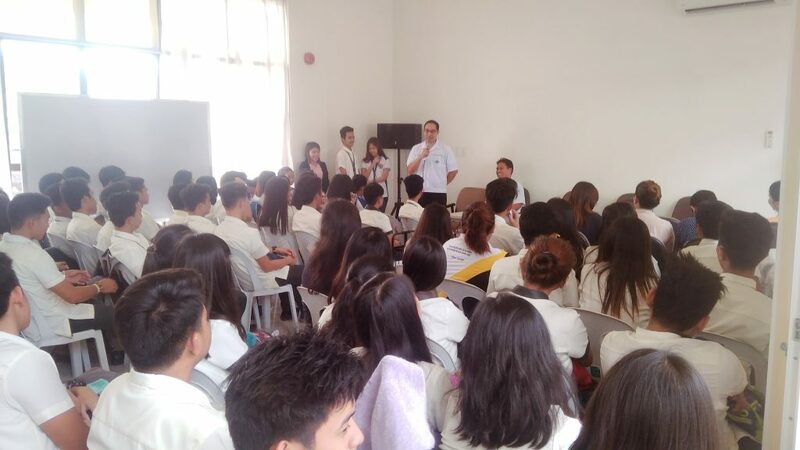 A total of 298 students from Cabuyao and Calamba, Laguna and Sto. Tomas, Batangas were deployed to 12 locators, namely: Nexperia, Gemphil, Pricon Microelectronics, Generika Actimed in LISP I; Continental Temic, ST Micro, Kyouritsu, Sansen Nexem in LISP II; and Prime Micro, Silverfoiltubes, Inatech in LISP III. Through the locators’ support and cooperation, the students have acquired practical knowledge and hands-on exposure to different industries during their three-month immersion program. The immersion activity is geared towards helping the students develop professional skills and to preparing them in making better career decisions. It is also an avenue whereby students are able to apply the principles and theories they learned from school, enhance their technical knowledge , enrich their communication and human relations skills , and develop good work habits and attitude, as well as appreciation and respect for work. Locators who participated in the program expressed appreciation for the opportunity to contribute significantly in the educational development of the students. Some participating locators in fact signified interest to accommodate more students in the next immersion activity. Also, other locators who were not able to participate in the first batch have now expressed interest to accommodate students in the next school year.